Am I the only one struggling with Back to School time this year? I know I have a lot of other things going on in my life but, this year seems to be extremely difficult. When you look on Pinterest and Facebook you see all the wonderful posts about back to school time and all the beautiful classrooms. You see the awesome back to school activities everyone is doing. My room is decorated nicely and I did some cute back to school activities. My kids loved it. Yet underneath it all I’m still struggling with being back in the classroom. I feel unprepared with the new math curriculum. I don’t feel like I’ve had enough time to digest the new standards. I didn’t get to spend enough time in my classroom getting it all setup. My school just got a new principal, assistant principal, and other administrative staff within the last 3 weeks. Thank goodness all of them were already at our school, they just moved up in new positions. I am also the new Technology liason at our campus this year. I continue to get lots of emails about lots of things I don’t know anything about. I am a mentor teacher for a new teacher on my grade level. I know people don’t want to read blog posts about teachers struggling in the classroom so early in the year. 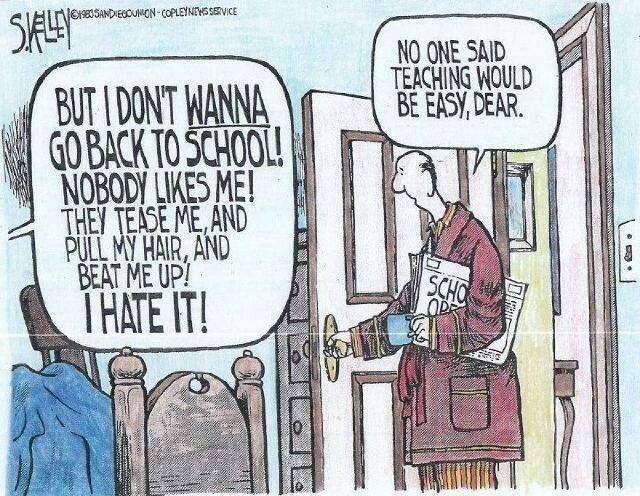 I also believe I cannot be the only teacher already struggling. This is my 14th year of teaching and this year seems extremely difficult for me. But is it really more difficult than all of the other back to school times? Is it like child-birth, in that you don’t remember all the excruciating pain and torture? If I really look back at my previous 13 years of back to school times, would I think this was really the toughest year? My first year of teaching: September 2001. It started off wonderful but 2 short weeks later it was horrific. My degree did not prepare me for how to handle Sept. 11th with my students. My fourth year of teaching: 2004. The school I worked at closed down a week before school started and I had to become a teacher’s aide in Kindergarten at a new school. Not the easiest thing to do. My fifth year of teaching: 2005. New school, new team, my first time in public school, and 24 second graders. Hurricane Katrina, Hurricane Rita and many new students to our school. Huge learning year. Then there were several years after that when we had to take everything down in our classroom and set it back up due to issues with the building. 2008: Hurricane Ike hitting our area. No electricity or school for 2 weeks, school flooded, resetting up classroom on concrete floors. Then having to redo everything several months later when we got the new floors. 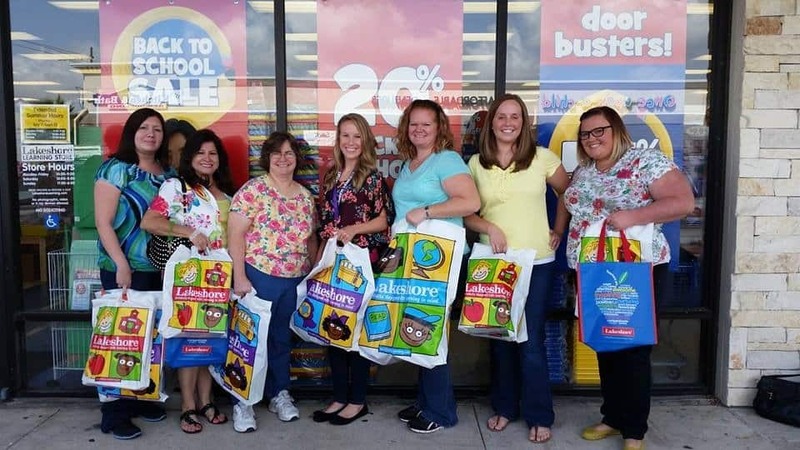 2013: Moved to 3rd grade and switched rooms and team members. I felt like a new teacher. 2014: Refer to list above. So is this year really more difficult than in the years past? Do we sometimes forget the beginning of the year until we have to do it again? I guess I just to need to get through the next couple of weeks and try to remember that this too shall pass. Don’t let all the cutesy decorations and fun posts fool you. This was the fun field trip to Lakeshore last week. 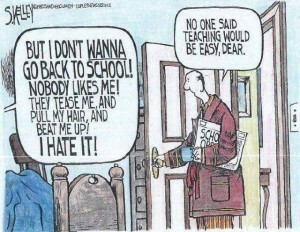 The beginning of the school year is tough for teachers! I know I can get through this just like I have the past 13 times.Hopefully I’m not the only one with back to school struggles. How about you? Let me know what you struggle with. I appreciate a real post such as this! 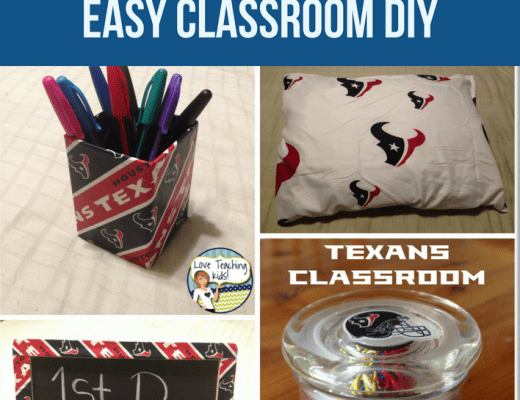 Yes, we are all excited to get our classrooms set up and get ready for a new group of kiddos but that does not take away from the everyday struggles of a new school year. Thank you for keeping it real! Hopefully your year will go well, best of luck! Thank you for your wonderful comment! I hope you have a great year also!